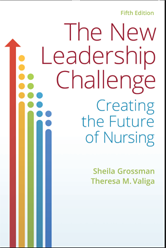 This AJN Book of the Year Winner, by two noted educators in the field of leadership development, guides you through the process. An easy-to-read, interactive approach helps you identify the characteristics of leaders and followers and illustrates not only how, but also when to use the qualities associated with each to achieve professional and personal success. What Happens If There Is No Vision?